Today is the first day of the year 2012. The previous year has been tough for a lot of us but difficult times can help us grow into better and stronger persons, depending on how we respond to trials that we face in life. Let us face the new year with courage, hope and faith for a brighter tomorrow. to them who are called according to His purpose. The Christian life is not a constant high. "O God, forgive me," or "Help me." as a dark time in your life. or becoming a better person. how much your loved ones mean to you. how magnificent it is to be on the highest mountain. when we are feeling deeply uncomfortable, unhappy and unfulfilled. for different ways or truer answers. finding something to live for, great enough to die for. I happened to get a glimpse at your journey and liked it. 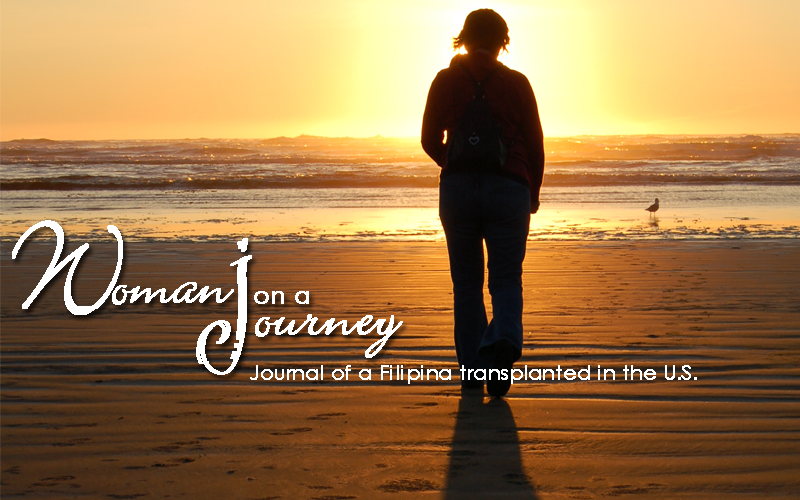 I would like to invite you to My Journey at www.nnalcot.blogspot.com. Thank you.